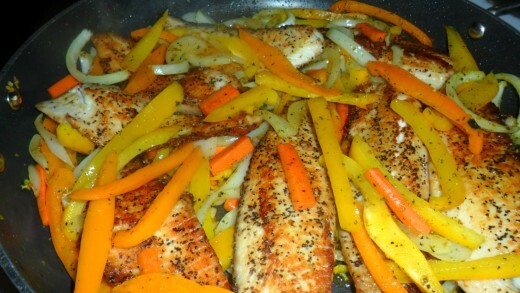 You can make a feast out of this very easy delicious Tilapia fish dish. It takes 30 minutes to make and can be served as a main dish. 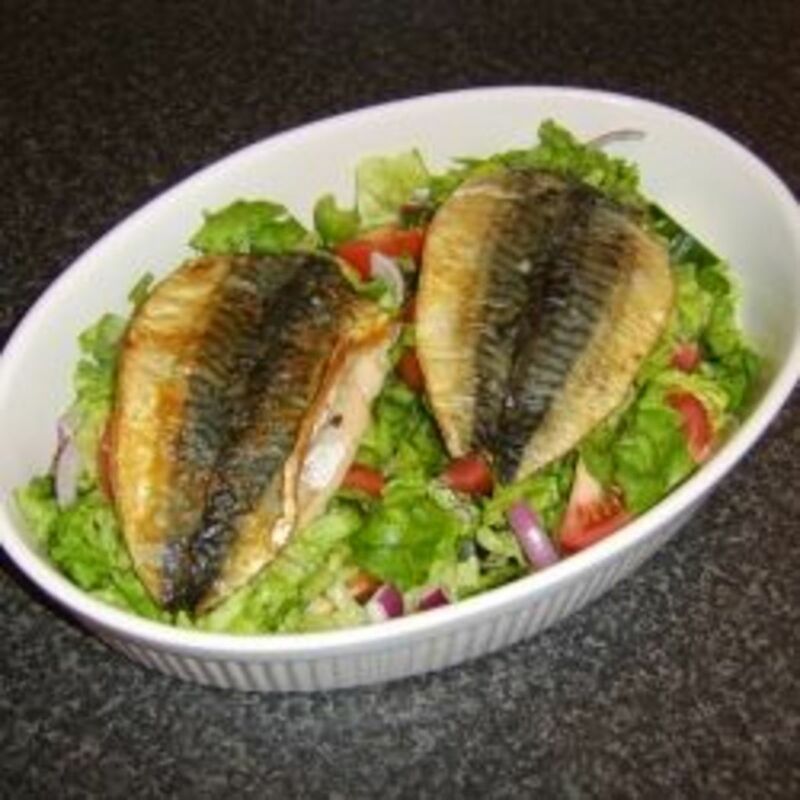 Add a few side dishes such as a bowl of rice for people who prefer rice and fish, a platter with chunks of baguette bread for those who prefer a fish sandwich and a bowl of salad for those who prefer just fish and salad. Add a tray of condiments such as creamy salad dressing, vinaigrette salad dressing, butter, salt and black pepper. Use fresh unfrozen Tilapia fillets, spread fish on a large platter then pat both sides with paper towel to get rid of any wetness. 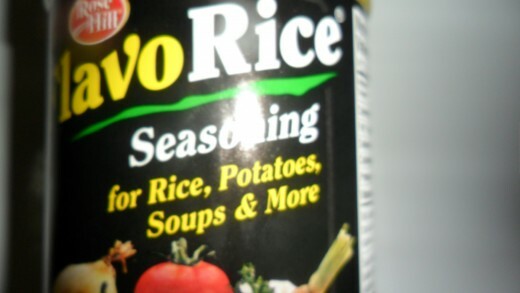 Sprinkle both sides with the black pepper and salt. 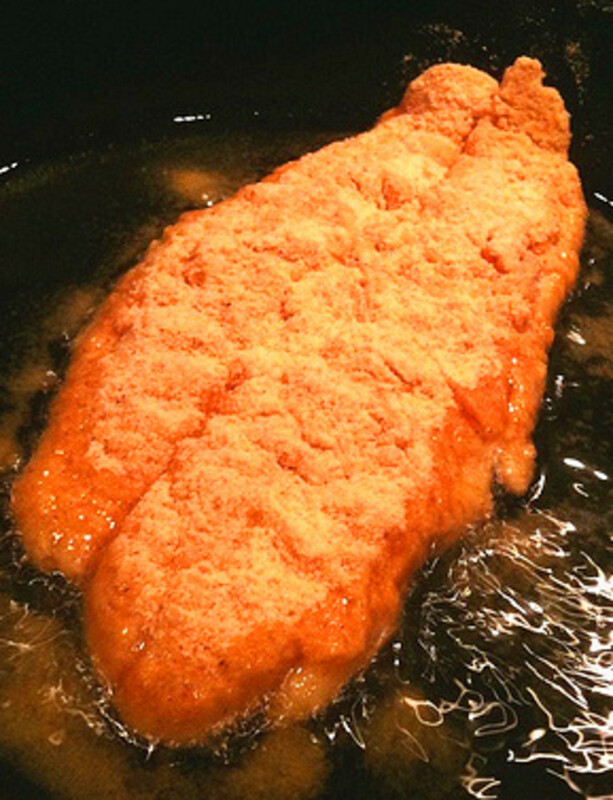 Add the cooking oil to a large non-stick frying pan, heat the oil until it is shimmering or nearing it's smoke point. 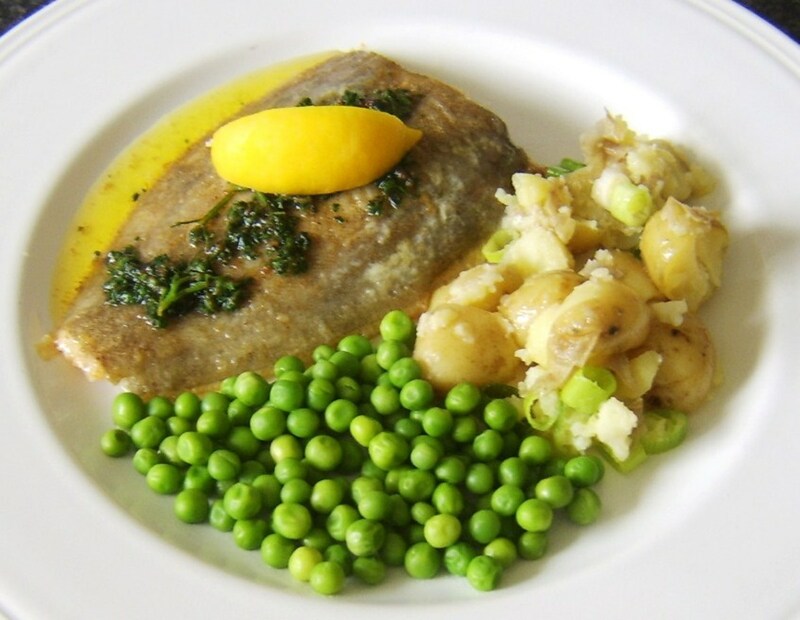 Place the fillets in pan away from you, leave enough space between each piece so that they do not touch. 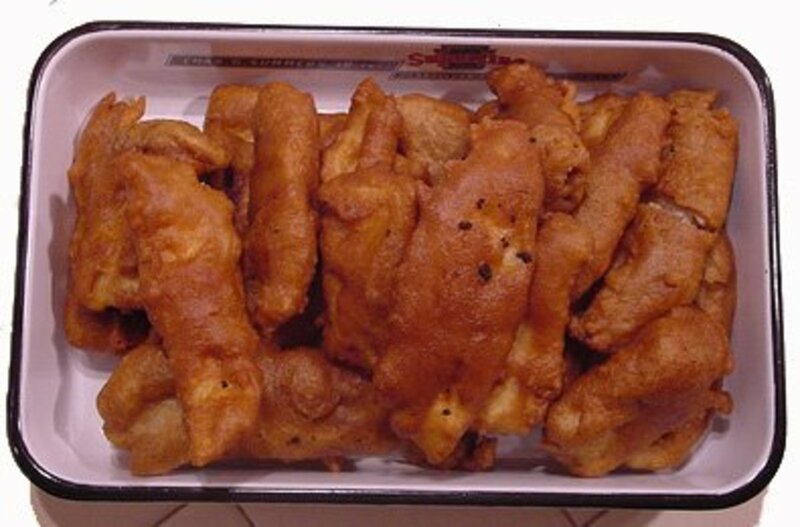 Fry each sides for 4 to 5 minutes until it is golden brown. 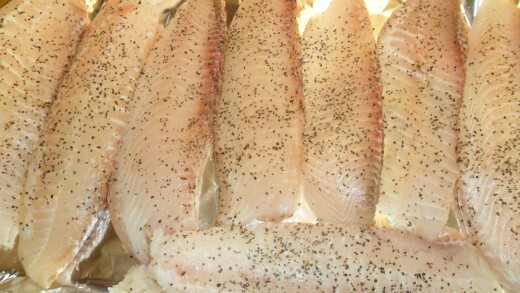 Carefully remove the Tilapia fillets from the pan so that they don't break apart. Place them back on the large platter to rest while you prepare the vegetables. Add the sweet peppers, carrots, onions and one table spoon of white vinegar to the pan, stir over heat for one minute then add the seasoning of your choice(I used the Flavo Rice Seasoning by Rose Hill) and keep stirring over the heat for another 1 minute. Remove half of the vegetables from the pan and place in a bowl, spread the other half evenly in the bottom of the frying pan. Place the fillets on top of the vegetables and then evenly spread the rest of the vegetables in the bowl on top of the fillets. Turn the heat off and remove the pan from the stove top to stop the cooking process, cover and serve when ready. This can be served cold or warm. You are welcome "Just Ask Susan" Enjoy! I also love your cheesecake recipe and will try it soon. 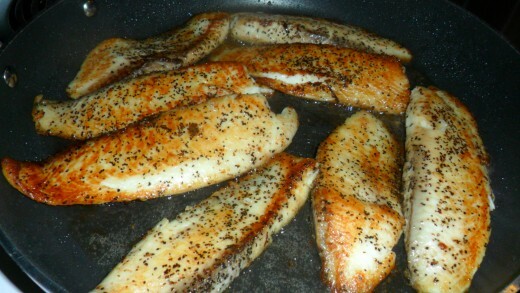 I'm always looking for new ways to cook tilapia and yours looks wonderfully delicious. Can't wait to try this. Thanks for sharing! You are welcome, enjoy! I also love your article on flaxseed and blueberries. Thank you for sharing. I can't wait to try this yummy dish! I love tilapia. I don't eat meat at all but do like fish. Thanks a bunch. Sharing. Glad you liked the idea! Thanks again for this gorgeous recipe! Thank you Susan for this idea; I absolutely do agree that tortillas or fajitas would be a great option. In fact, I have a dinner party consisting of 8 people next week and will definitely be serving this dish with tortillas and fajitas. It just seems like an easier choice. YUMMY! This is why I like sharing my food recipes because someone always has a twist to it that makes sense. Thanks again! Oh, my, this fish dish looks so good! 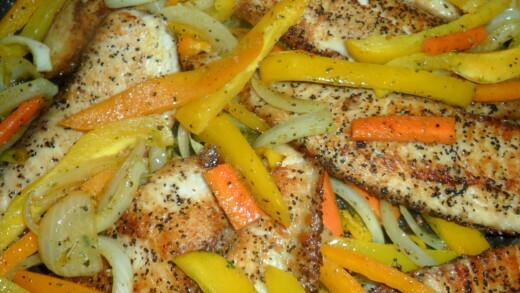 I just love having the vegetables under and on top of the tilapia. You mentioned several excellent ways to serve it. With the colorful peppers and onion, I was reminded of fajitas. Wrapping the fish and veggies up in tortillas would be yet another option. Whoever said fish is boring? Not this fish dish!